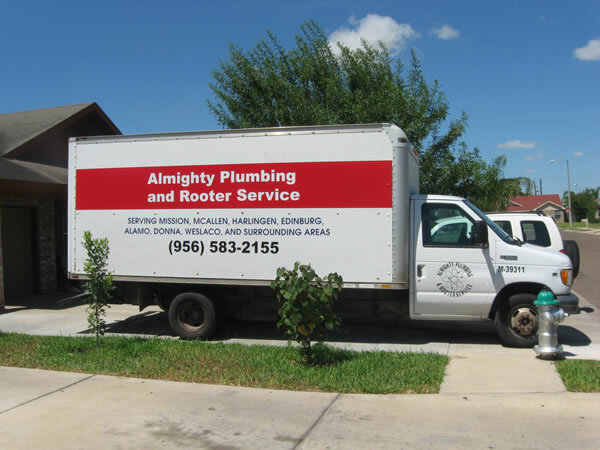 Almighty Plumbing and Rooter Service is a family owned and operated full service plumbing company that can cater to your home or business. Our company is licensed, insured and bonded, and all our work is guaranteed. We schedule service appointments at your convenience so whether your plumbing needs are big or small, residential, or commercial, simple or complex, we can help! For more information or to receive a Free Estimate give us a call today. It is only natural to shop around for competitive prices when in need of plumbing repairs or drain service, that is why Almighty Plumbing wants to offer all Valley residents a valid and clearly reliable option. If you are spending your hard earned money, your choice should be us,we offer the best and most cost efficient service, from drain service, camera inspections, to hydro jetting or plumbing repairs.